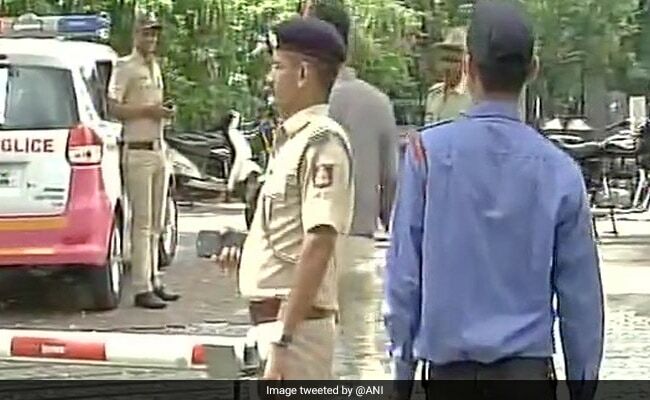 Bengaluru: Around 25 properties belonging to VG Siddhartha, the son-in-law of former Union minister SM Krishna and the chief of the Cafe Coffee Day chain, were raided by Income Tax officials today - an action the BJP claims proves the department is functioning independently. Mr Krishna, who was Karnataka Chief Minister, Union minister and Governor, had ended his four-decade association with the Congress and joined the BJP earlier this year. "We have been saying many times now that Income Tax raids have got nothing to do with the party and the government," state BJP spokesperson G Madhusudan told NDTV. "I think with this, (raid on VG Siddhartha) the media will definitely come to a conclusion that Prime Minister Narendra Modi's government is a government which has not influenced the CBI, the Income Tax, the ED." The reference was to the state's ruling Congress's accusation about the BJP pursuing political vendetta, when state minister DK Shivakumar was raided by the department in August. Mr Sivakaumar was the person looking after the Gujarat Congress legislators, who had been whisked off to a hotel on the outskirts of Bengaluru ahead of Rajya Sabha elections in the state. Senior state Congress leader Dinesh Gundu Rao told NDTV that they suspected that the 84-year-old Mr Krishna's utility for the BJP is over. "Whatever they wanted to use him for, they used him. He is expendable." He said when Mr Krishna left the Congress, there was speculation that he might be "under pressure for certain reasons". His son-in-law's name and his business dealings were "bandied about" Mr Rao added. VG Siddhartha is said to be among the country's largest exporters of coffee bean - the Cafe Coffee Day is India's largest coffee retail chain. The properties raided today stretched across Bengaluru, Hassan, Chikmagaluru, Chennai and Mumbai, and included the Bengaluru headquarters of his Cafe Coffee Day chain. Asked if the BJP would back Mr Krishna, Mr Madhusudan said, "We will not back nor will we do the back-stabbing. I think now Congress spokesperson should start shutting their mouth and not make irresponsible, irrelevant comments on CBI or Income Tax."